The UK will not lower food standards to secure a post-Brexit trade deal with the US, the government says. It comes after Washington published its objectives for a US-UK trade pact. In an article for the Telegraph, the US ambassador to the UK Robert Wood Johnson described European farming standards as being akin to “a museum of agriculture”. The US wants “comprehensive market access” for its farmers’ products that would see more US-made food on British supermarket shelves. European Union rules currently limit US exports of certain food products, including chlorine-washed chicken and hormone-treated beef. If free of EU trade rules, the US want the UK to remove such so-called “sanitary and physiosanitary” standards on imported goods..
British Poultry Council, Chief Executive, Richard Griffiths, said: “British farmers have worked incredibly hard to build a food system that enhances British food values and that ensures high standards of production from farm to fork. We cannot afford to lower our food standards in pursuit of trade deals. Britons demand safe, wholesome, and nutritious food; world-class animal welfare; production that respects the environment; food that is affordable and available; and a sustainable and secure supply chain. Our trading partners must respect that. It is insulting of the US to offer trade products that do not meet our high standards of food production. 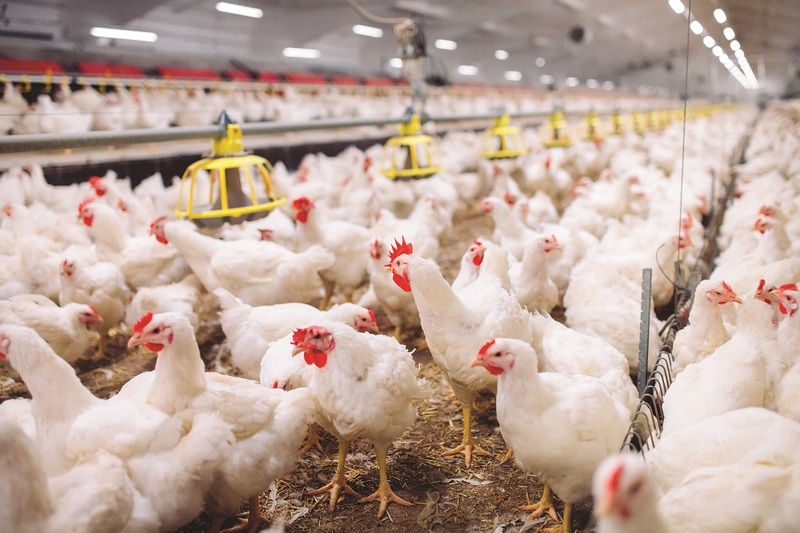 British food producers don’t dip their chicken carcase in chlorine as we do not believe in ‘cleaning up at the end’ or taking any short-cuts when it comes to producing food to high standards. Using chemicals to disinfect food at the end of a production process can hide a multitude of sins, but what it can’t hide is the need for their use in the first place. We are calling for a Government-wide commitment that production standards of imported food will have to meet British standards as a condition of entry. This would allow for fair competition, healthy trade (which is essential for carcase balance) and ensure food standards that British people can be proud of. NFU President Minette Batters said: “It comes as no surprise that the USA is seeking comprehensive access to the UK’s agricultural market and is pushing for a trade deal that accepts US production standards and practices. “The NFU has been very clear on this point. It is imperative that any future trade deals, including a possible deal with the USA, do not allow the imports of food produced to lower standards than those required of British farmers. “British people value and demand the high standards of animal welfare, environmental protection and food safety that our own farmers adhere to. These world-leading standards must not be sacrificed in the pursuit of reaching rushed trade deals. We should not accept trade deals which allow food to be imported into this country produced in ways which would be illegal here. “Last week at NFU Conference, the NFU laid out its proposals for a high-level commission of food and farming experts that will make clear recommendations on our future food trade policy. It is vital that this is established as a priority. “We will continue to work with others to ensure safeguards are included in legislation that establish a comprehensive role for Parliament in scrutinising and ratifying future trade deals, and to ensure food imports into the UK are produced to at least our own high standards.